Let's face it- dogs are amazing, adorable, yet dumbfoundingly silly creatures on earth. Whereas a cat would look you cooly in the eye after committing the most awful of crimes, a dog will melt pathetically under the guilt of having chewed up your shoe lace. #1 - These accomplices who definitely didn't have anything to do with that mess. What homework? We swear we didn't have anything to do with this! There was a cat, and three seconds later, there was paper flying everywhere. No idea how that happened. #2 - This dog who was the victim of a spontaneous lounge chair explosion. It's the funniest thing, lounge chairs exploding out of the thin blue air. What kind of world do we live in that a dog gets blamed for a freak accident? #3 - This dog who definitely didn't boop that cat on the head. Ok, to be fair, we're pretty sure some foul play is going on here and the real culprit is backed up into the corner acting like the victim. #4 - This dog who had an encounter with the cat's litter box. Again, I smell a cat- this dog was literally framed by a deceiving, cunning little kitten out to get him. Or he was looking for some special treats and is wearing a guilt collar. 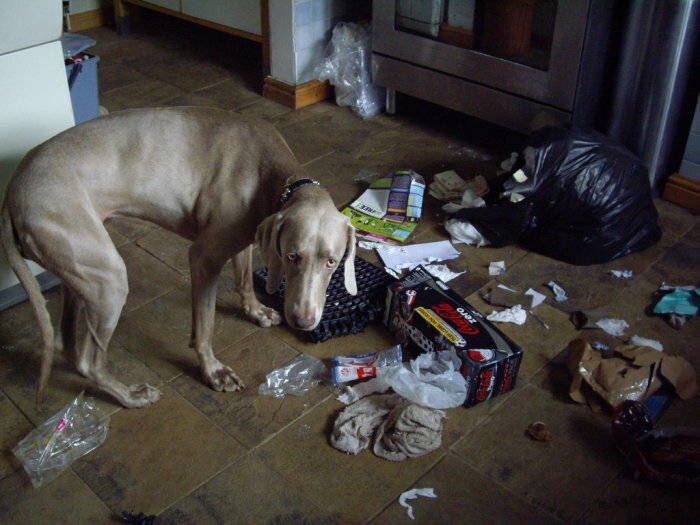 #5 - This dog who never even touched that trash bag. What trash bag? It was sitting there one moment and the next, it erupted like a soda bottle after encountering mentos. #6 - These dogs who know nothing about that brand new comforter. 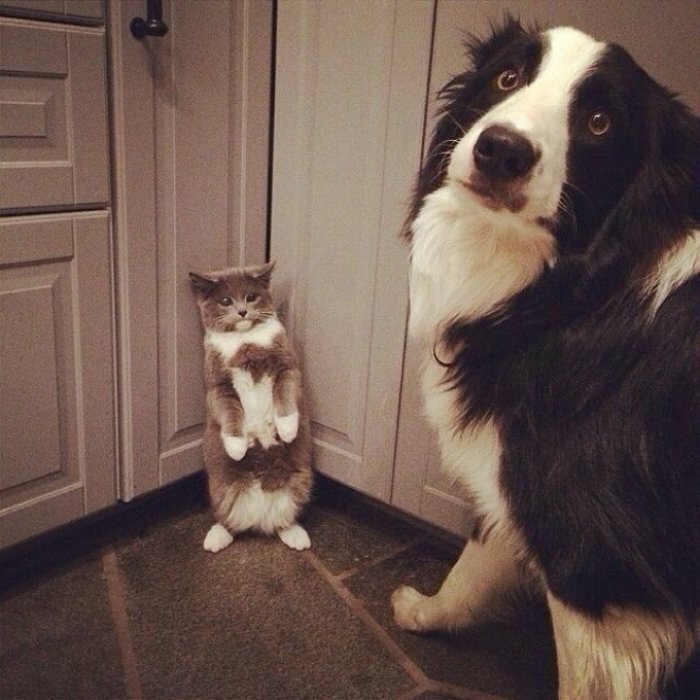 We're going to assume that since a time-out corner has been established, the poker face here is quite unnecessary. #7 - This dog who totally didn't do it because he's not even there. Oh, the old shut-your-eyes-can't-see-me trick. 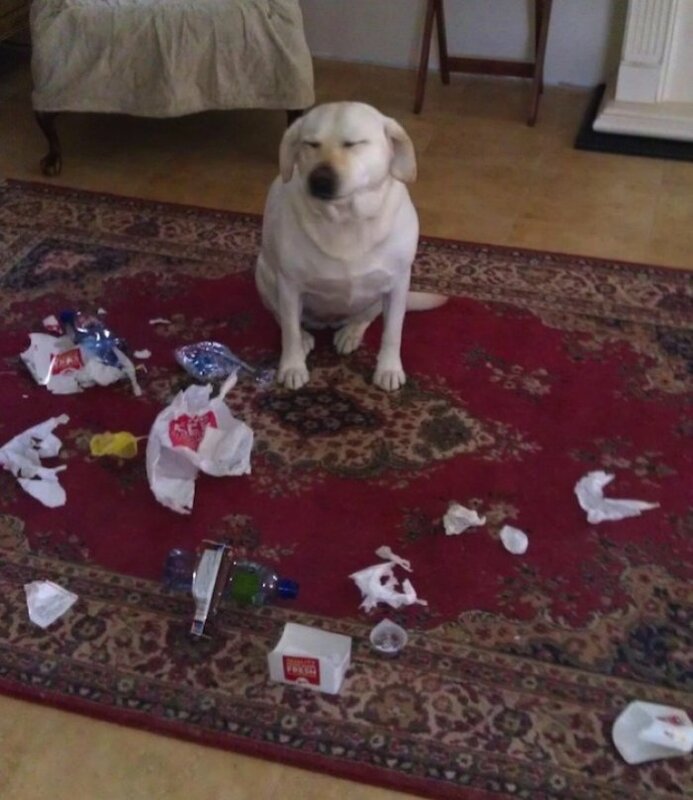 Matter of fact, he can't even see that burger wrapper he definitely didn't dig out of the trash bin. 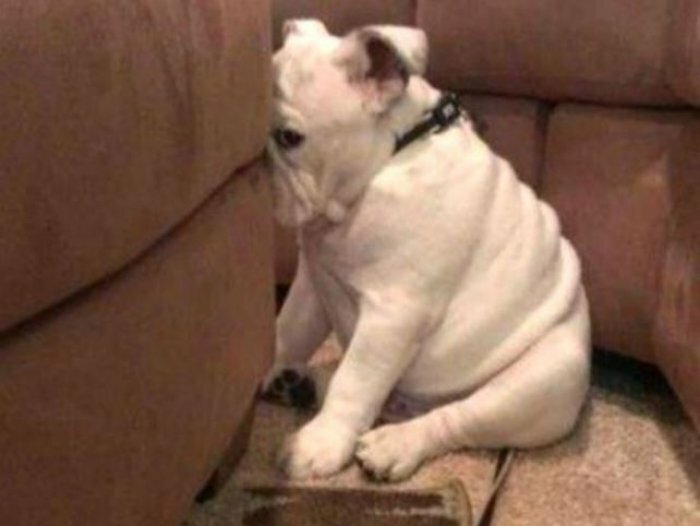 #8 - This dog who's playing an innocent game of hide-and-seek. We're not even sure what he did, but that look says you'll find it later on the bathroom floor when you're walking around barefoot. #9 - This dog who's just giving you the cute eyes. Guilty? Who's guilty? Do you see any destruction around me? It's obvious he didn't chew the cable to that brand new electric stove you just bought. #10 - These partners in innocence. 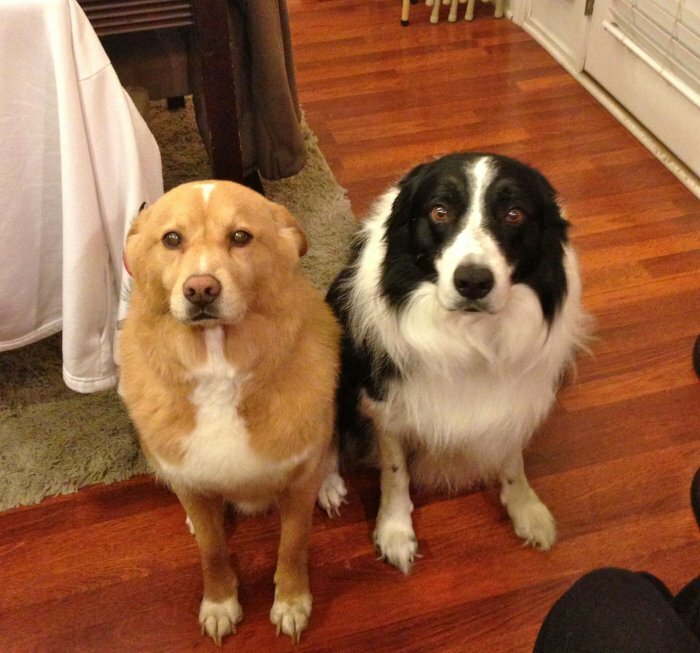 I see zero evidence of guilt on either of those completely innocent, one-hundred-percent neutral faces.